Yes, foldable phones are here but are they really here to stay? It’s an unproven market to put it mildly. Foldable phones are bound to fail if manufacturers can’t figure out the one key question. Do consumers care more about the tablet experience or more about the smartphone experience of foldable phones? The answer is obvious to us, but apparently it’s not so obvious to the manufacturers. Smartphone manufacturers have seen sales dropping and see the need for this technology. We’ve seen situations in the recent past when the manufacturers ultimately wanted something more than consumers. Regardless of hype and marketing, the hammer ultimately lies with the consumer. Is there a need for what the manufacturers want us to buy? Remember how big 3D was going to be? So here we are. The foldable phone push is on, but do you think the manufacturers know what the consumers ultimately want? The category is going to fail unless the manufacturers remember that the smartphone experience is the primary purpose of the device. If you take the first legitimate foldables from the world’s biggest phone manufacturers, it seems only one company figured out the key priority. Consumers may not ever realize it just yet, but they want a smartphone first and foremost. Sure, folding out to a bigger tablet form factor is appreciated, but it’s not of primary importance. So if you look at Samsung, when folded their Galaxy Fold is far from what today’s smartphones provide. The folded experience is going to be a shock to consumers who have been used to their traditional smartphone. The display when folded is small, compromised and hefty with bezel. 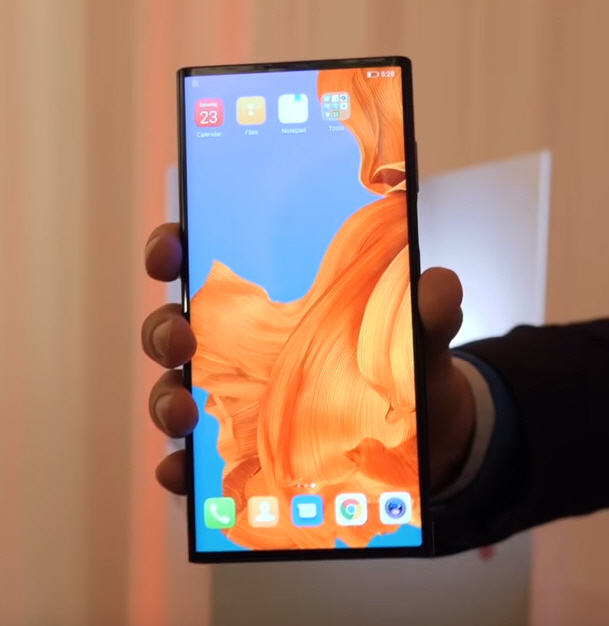 On the flip side, consider the Huawei Mate X. When folded, you get a true smartphone experience. It’s familiar to what consumers have come to know and love. In fact it’s better than what you get on flagships today because there is no black hole and no notch. A black hole or notch removal solution is something worth talking about! No question Samsung is working on other foldable designs. Don’t be surprised if they take a page out of Huawei’s design book. Tablets are ideal in certain situations, but the ease of access of the smartphone trumps a tablet. You can hold a smartphone in one hand. Unfolding into tablet mode is more cumbersome and won’t be something anyone really wants to do with one hand. Who wants to grip a foldable in tablet mode with one hand and risk dropping such an expensive device? We say nobody is going to be doing that. This new foldable technology is definitely exciting and it’s here to stay provided manufacturers get their priorities right. How long will it take manufacturers to realize that a smartphone experience should be the primary consideration? So far, Samsung put their effort into a tablet focused design whereas Huawei went with a uncompromised smartphone design while still allowing for a tablet mode. It would seem that most of the tech community sides with the Huawei design choice which leads us to be optimistic about the future of foldables.